Note: it was raining on this day, thus the ground was extremely slippery, and the ricon mud was sticking to our clothes and gear. No cars in canyon policy; cars must be parked in designated lots. Shuttle services available throughout canyon from 8am to 10pm. Check in times from 3pm to 10pm. Special arrangements must be made 48 hours in advance. Visitor policy allows for additional persons after checkin for additional cost of $20. Quiet time begins at 10pm. Canyon is a non-smoking facility inside and outside accommodations. Woodlands with small creeks. indigenous mountain lions have been spotted. Ricon clay is a factor in the soil, which when wet, makes travel by foot or car very slippery. Clay tends to collect on gear, losing further traction. This time of year is considered the wet season, although this year has been relatively dry. Considerations must be made in regards to the weather on the days of the Charrette for purposes of lodging, meetings and equipment setups. Currently the daytime temperature max. is approx. 70F and nighttime low is around 30F. Currently, several prefabricated models of cabins numbering greater than 90 with 120V of AC power and lighting without phone lines or internet wiring. Cabins have either two twin-size beds or one full/queen size bed with a kitchenette and microwave. A bathroom with shower is able to handle conservative usage. Heat is controlled by a thermostat in most units, with some units also having a wood burning stove. Each cabin has 2 large propane tanks to supply hot water and heat. By the time of the charrette, 3 16ft. yerts and 3 30ft. yurts will be established. Currently, the one 30-ft. yurt being evaluated for most of the meetings is located furthest in the canyon, equipped with power and can seat on the perimeter approx. 35 persons. The inner circle can seat approx. 40 more persons on reclined chairs. The yurt is noted to have improved acoustics inherent to its structure with a central metal shaft in the middle to open the above central dome for ventilation. There are 3 bath houses located throughout the canyon, the second bath house has a Motorola repeater on the roof functioning mostly for walkie-talkies. The front lodge along with the kiosk has dial-up modems used currently as the only access to the internet. There is infrastructure being built up for high speed services, however, this system will not come online for the charrette. 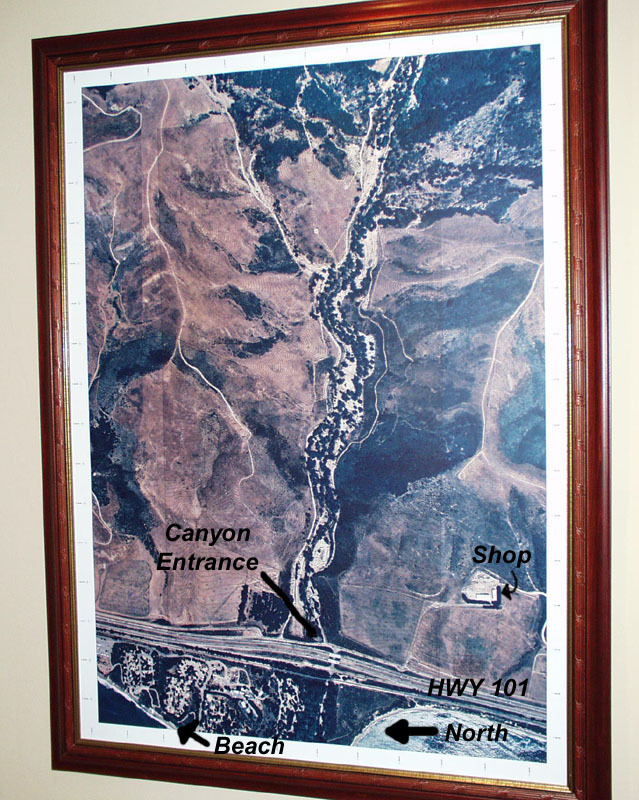 Roughly a quarter mile away from the entrance to the canyon is a road that travels up to the site workshop. The workshop is fully equipped for large scale wood and metal projects. The shop is staffed by carpenters and welders and it was made aware to our team that, if needed, on-site wood/metal working could most likely be accommodated. Large metal containers can be secured for equipment use along with space in the shop warehouse. On-site mini carts are used for shuttling guests along with 4x4 trucks for routine maintenance. Terrain bicycles are available as well. Although the front lodge and kiosk have internet capability, the rest of the canyon structures do not. Verizon is the only cellular provider that seems to have fairly good reception throughout the canyon. Sprint PCS and Pacific Bell (cingular) do not work inside the canyon, however, they may work at the tops of the surrounding mountains. This was not tested due to heavy rains which prevented us from accessing the mountain tops. RIM pagers with GoAmerica service did work in the canyon. There are telephone/power poles located throughout the canyon, which may be able to accomodate repeaters and or satellite dishes.